Pune's beautiful trees, parks, and greenery are unmatched by Mumbai. If you've ever taken a walk in the lanes of Koregaon Park, underneath the green leafy canopy of ancient banyan trees - or even in old parts of Khadki, Aundh, or Deccan Gymkhana; you know what we're talking about! You know it's true! Mumbai's weather is sweat (summer) - wet (monsoon) - and 'not-hot' (i.e. winter), whereas Pune's weather is pretty much ah-ma-zing all year round (okay, except maybe April/May) - and it actually gets cold here in the winter. You don't even have to drive far out of Pune to get a break from urban life - hill stations and weekend getaways are just an hour or two away (Lonavala, Wai, Mahabaleshwar, etc.). Plus, you can actually see as far as the hills - from most parts of the city. Let's be honest - Pune is just a better music festival destination than Mumbai. 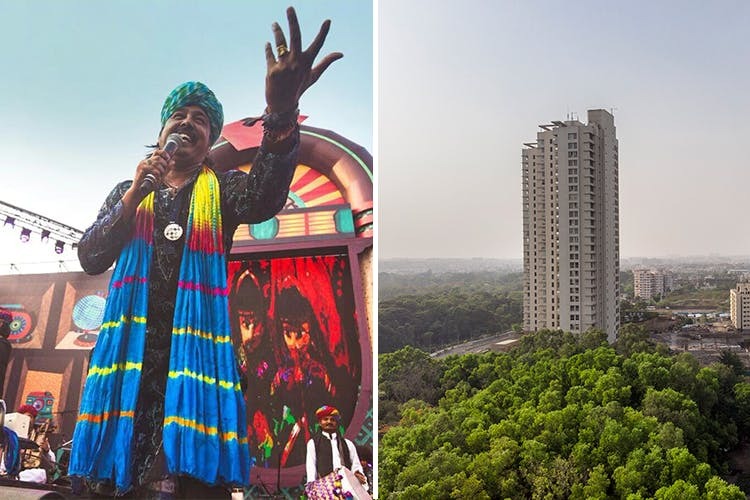 There's more open space, better weather (like we mentioned above), and big-name festivals like NH7 Weekender, Supersonic, and Sunburn tend to agree - since they host their annual events here! Whether you're buying or renting an apartment - real-estate prices in Pune are way more affordable than Mumbai AND give you more value for your money. Apartments (even rental ones) give you more amenities and space, and you won't have to cram 5 people into a 2-BHK to be able to pay your rent.